The combined trading volumes of all digital currencies has risen to an incredible all-time high of $23 billion in the past 24 hours, more than 10% of their combined market cap. Almost $20 billion of that is in just two currencies, bitcoin and Bitcoin Cash. The two are undergoing a free market vote on the future direction of the oldest digital currency. 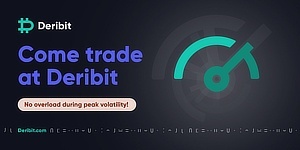 With every single holder now able to choose whether they’d prefer a congested high fee settlement network or a smooth running instant transactions usable blockchain based peer to peer electronic cash. The market’s decision so far has been in favor of the latter, with Bitcoin Cash rising and rising in the past three days to an all time high of $2,799. The current top ten digital currencies. 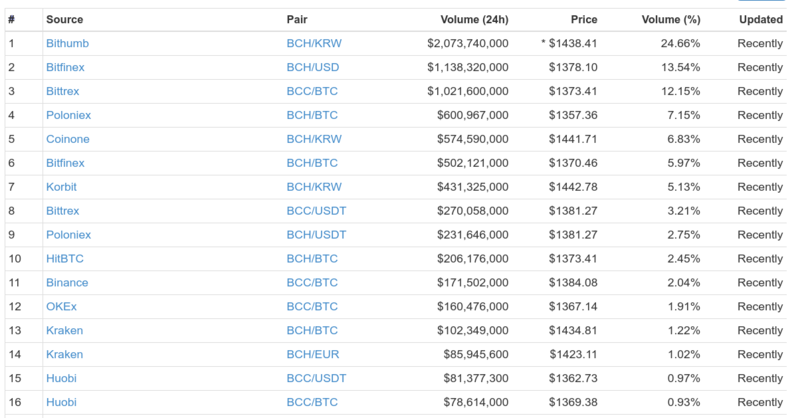 More than $2 billion of BCH’s trading volumes are currently coming from Bithumb, with Bitfinex’s USD pair rising to an incredible $1 billion. 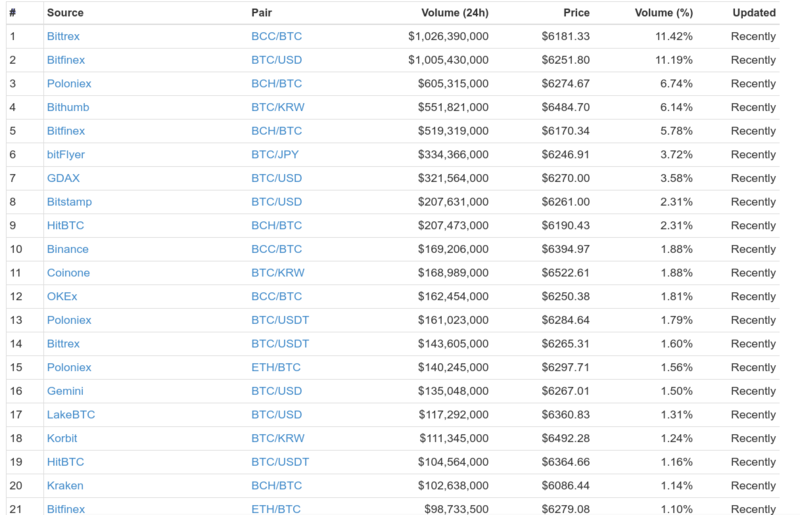 While the BCH and BTC trading pair makes up much of the rest, with $2 billion of it traded in just the top exchanges by trading volumes. BCH’s top trading pairs by volumes. The current top bitcoin pairs by trading volumes. Interestingly, new money isn’t really coming into this space, with the global market cap remaining at $200 billion. Instead, value is being reshuffled as some 100 million or more bitcoin and bch holders choose between the two currencies. That has sent Bitcoin Cash’s market share spiking, while btc’s market share is down some 13%, from around 63% to now around 50%. The rise and rise of Bitcoin Cash. Bitcoin Cash appears to have taken around $20 billion off btc’s market cap, with it down to near $100 billion from $120 billion while BCH has risen to a current market cap of $25 billion. It remains to be seen whether this trend continues to the point BCH overtakes BTC in market cap. 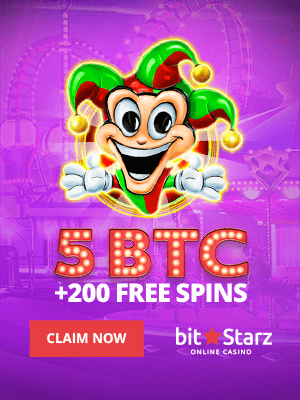 At which stage, it may be relabeled to just bitcoin, while what is currently known as btc might be renamed to bitgold or Bitcoin Core.